“I’m sorry. 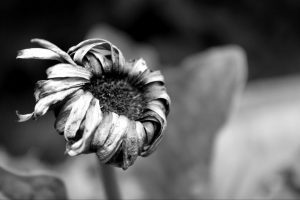 It’s against the law to sell dead flowers.” The clerk in the flower shop looked at me in shock and disbelief. My best friend was turning 50 and I wanted some wilted flowers to help with his birthday decorations. Obviously my request was in poor taste. But then, my friend was the one who started our on-going competition of outlandish birthday humor. I was not to be outdone. Silly story notwithstanding, why on earth is there a law that prohibits the selling of dead flowers? Shouldn’t it be common sense not to sell them? So many times, common sense is not enough. Communication can take a chunk out of what we seem to lack in common sense. This applies in every aspect of your relationships in your business. Our relationships will our clients, our prospects and – ever so importantly – with our Team members. So many times, common sense lures us into laziness by allowing us to assume that everyone involved in the flow of communication has the same perspective, the same language, the same goals, same work ethic and the same logic. Nothing could be further from the truth. Don’t assume your definitions of important terms are identical to everyone else’s. Use short, clear definitions that are agreed upon by all. Follow your trail of communication to its end. Does the end result match the beginning message? Recall the game “telephone” from your youth. Repetition is your friend. Use it lavishly. Ask for (and receive) feedback. This requires being present and open to the right conversations. Ask and ask again. Then stop talking and listen. You need to make sure your communications “stick” (especially with Team Members) and Role Playing is a great way to get objections, challenges and less than enthusiastic attitudes out in the open. Turning a blind eye to problems and those who won’t engage will complicate things later on. Why not handle it now? Clarity sets the stage for productive communication. Feedback keeps you on track and engaged with those around you. Listening makes the whole process easier – and builds trust along the way. Let us know what you think. Hit reply and tell us what works for you? We’re always looking for new ways to improve communication in any setting. We’d love to hear from you.